LOCATION LOCATION in this desirable neighborhood! Quiet, safe, and across from a beautiful park, perfect for a night stroll. 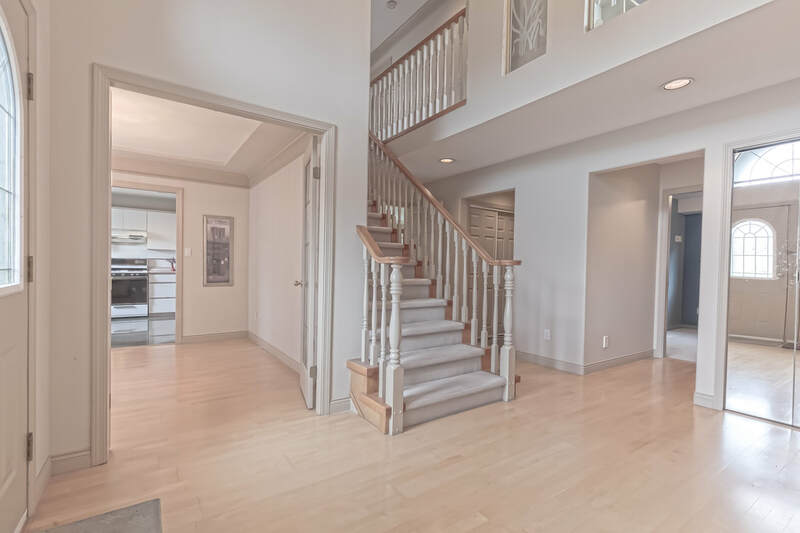 This corner lot's 2426sf spacious family home has 4 bdrm 3 bath featuring vaulted high ceiling in the living room as well as 16' high ceiling in the foyer. Hardwood flooring along with granite flooring in kitchen and all bathrooms gives this home a luxurious finish. Situated on a 4428sf lot with a generous yard, beautiful landscaping and big balcony makes this home perfect for entertaining. Close to parks, school, public transit as well as the new Walmart shopping plaza.